Pyrite crystals. Close-up of iron pyrite crystals in their host rock. 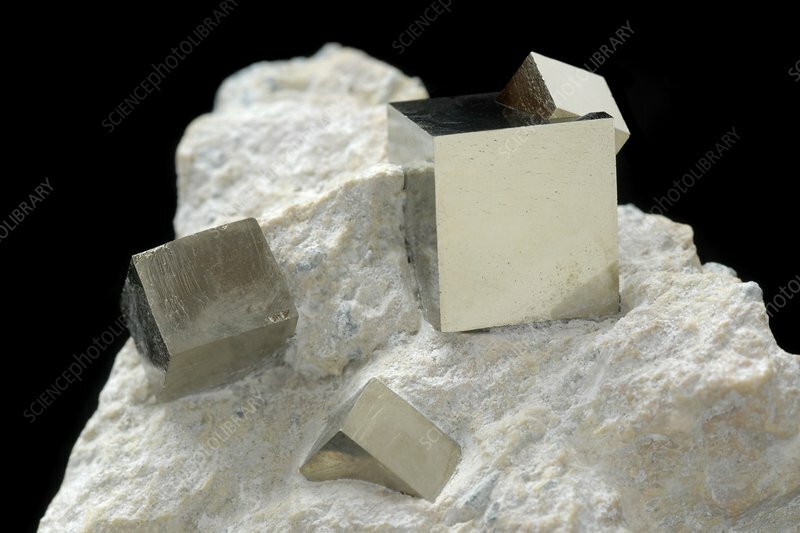 Iron pyrite (iron disulphide, FeS2), commonly known as fool's gold, is the most abundant sulphide mineral and often occurs as cubes.